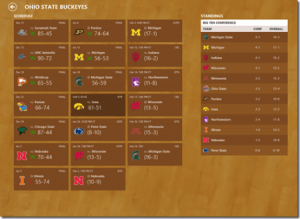 Microsoft released an update to its Bing Sports app for Windows 8. The new update brings some new leagues to the app, such as NCAA Men’s Basketball, NCAA Football, MotoGP and 17 global soccer leagues. The Sports app is installed by default on Windows 8 and is set as one of your tiles. The update is free and is available in the Microsoft Store.